About Us - Porras Prontito, Inc. Many mornings I crave that delicious Ranchero Taco saturated in their tasty salsa, from our friendly neighborhood Porras Prontito. I had the opportunity to meet with Owner Rene Porras about this wonderful place that has been and continues to be a great part of the non-residents and residents of Denver Harbor. Rene Porras was actually born in Gonzalez, Tx and moved to Utah with his parents who were the previous owners of Porras. In 1967, they moved down to Houston, Tx where his uncle owned a body and paint shop located at the same spot currently known to us as Porras. After a few years the shop transformed into Pick a Gift where bird baths and such were sold. Soon Mrs. Porras began to sale tacos out of the front window while a portion of the store was rented out to a baker to make pan dulce. She used to sell papa con huevo for 49 cents. From that point on business began to boom. During this time, Rene Porras had graduated from Austin High School in 1969. Since at that time the schools were more segregated he said when he first got to Denver Harbor he went into Wheatley High School and tried to enroll. He said that the clerks looked at him and basically told him that he may feel more comfortable at a school like Austin High School. He was soon drafted after graduation to Vietnam. Afterwards, he received a college degree in 1977 and was to report to Kentucky to be a Ranger. He decided he would come down to work with his parents for 3 months, and instead of returning, he stayed and has been at Porras for 38 years. Rene was very passionate when describing his love for this neighborhood. “I am very comfortable here, I want to stay forever.” He explained when he came to Denver Harbor it was a changing neighborhood. The main changes he witnessed went from hearing bullets shots at night, to when they went political with Ben Reyes, to becoming more of an immigrant neighborhood with an array of Latino ethnicities. Then came the conflict between Chicanos and Mexicans. As of now he feels it has gotten better particularly on this side of the freeway. “I want a quality of life here, we have a safe park (Selena Quintanila Park), and I feel Denver Harbor is the best Mexican American/ Chicano neighborhood in Houston.” He discussed how time passes so quickly and that it had been 21 years since his father had passed and 10 years since his mother had as well. Rene explained that all the recipes came from his mother and before she passed away she showed his wife how to prepare the food exactly the same way. He said he still gets customers that tell him the food tastes the same as 30 years ago. The house specialty and best selling item is their tacos of Carne Guisada, which I agree are absolutely phenomenal. Their flour tortillas are burrito sized and delicious as well. I myself love their savory fajita tacos. On the menu Porras offers over 28 kinds of tacos or tortas. They even have breakfast and lunch plates, and also serve tamales, menudo, and barbacoa. 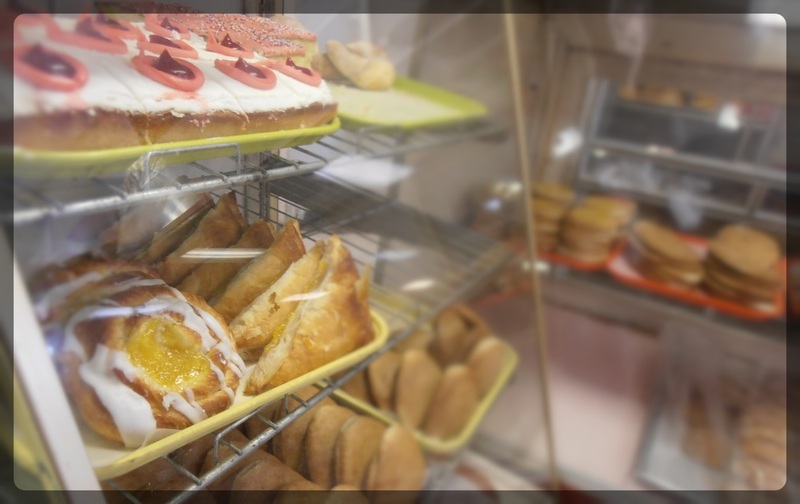 Porras also has a tasty variety of Mexican bread and pastries. They have a range from pan de huevo, donuts, galletas de polvorones, cochinito bread, and much more. Rene took us in the bakery portion of Porras, where the bakers were working diligently and I could smell the aroma of freshly baked pan de huevo. He has loyal employees, some who have worked at Porras Prontito for 25 years. Rene said that one of his proudest accomplishments was when Porras went wholesale. They started selling pan dulce in packages in 1987 which got Porras even more well known. He felt that he was the pioneer of wholesaling pan dulce and was able to market his product at grocery stores like Fiesta, Sellers Bros., and Food Town. This set Porras Prontito apart and raised the bar against other bakeries. Porras has been faced with some struggles such as Hurricane Ike which affected his place of business and they are still recovering to this day. His goals for the future is to survive and afford to stay in Denver Harbor. “Biggest threat as a neighborhood is gentrification.” Rene expressed how gentrification is causing every small business to have issues. They are raising taxes on the property in Denver Harbor so high, it’s become difficult to pay the taxes. When compared to other neighborhoods in Houston like 3rd Ward, if residents were to buy local as much as possible it would drop the unemployment rate because local businesses would need to hire and much more. After a nice visit I went home with a bag of freshly baked pan dulce and a scrumptious plate of carne guisada accompanied with rice, beans, tortillas, salad, guacamole, and of course salsa. Be sure to continue supporting Porras Prontito and enjoy some delicious tacos and pan dulce that are like no other! !